Despite best intentions, people don't always follow instructions. When it comes to saving files, we can all be somewhat guilty of saving to the Desktop or Documents folder when we're in a hurry with the best intentions to move it into a cloud sync'ed folder structure "when we have time". The reality is, for many they never get around to it and run the risk of losing critical data. This is particularly true in a shared device environment like schools where many IT Admins have policies set to reset devices when a user logs out - any content not saved into the Cloud or a network file share is going to be lost. 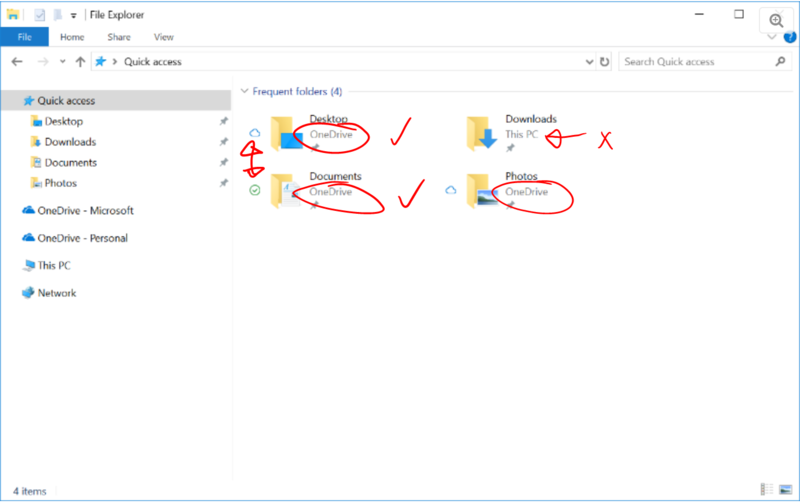 With KFM configured you can see the folders now redirect to OneDrive (circled in red) and the Downloads folder is not moved to OneDrive. Furthermore, this is leveraging OneDrive Files on Demand, where you can see the icons beside each folder. The cloud icon shows it's only in OneDrive, the green tick shows it remains on the device itself (as well as in OneDrive). 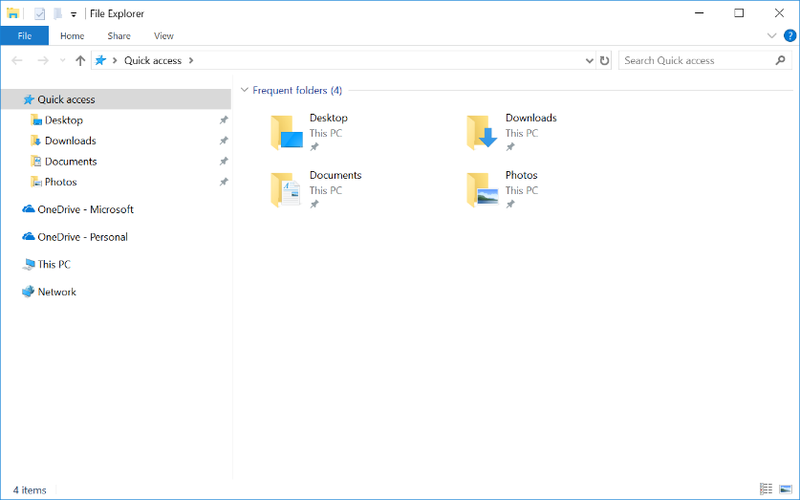 Folder Redirection redirects a local Windows folder to an equivalent folder in OneDrive but does not migrate any content from the local folder to OneDrive. That’s why folder redirection should only be used on brand new machines that don’t have existing content. 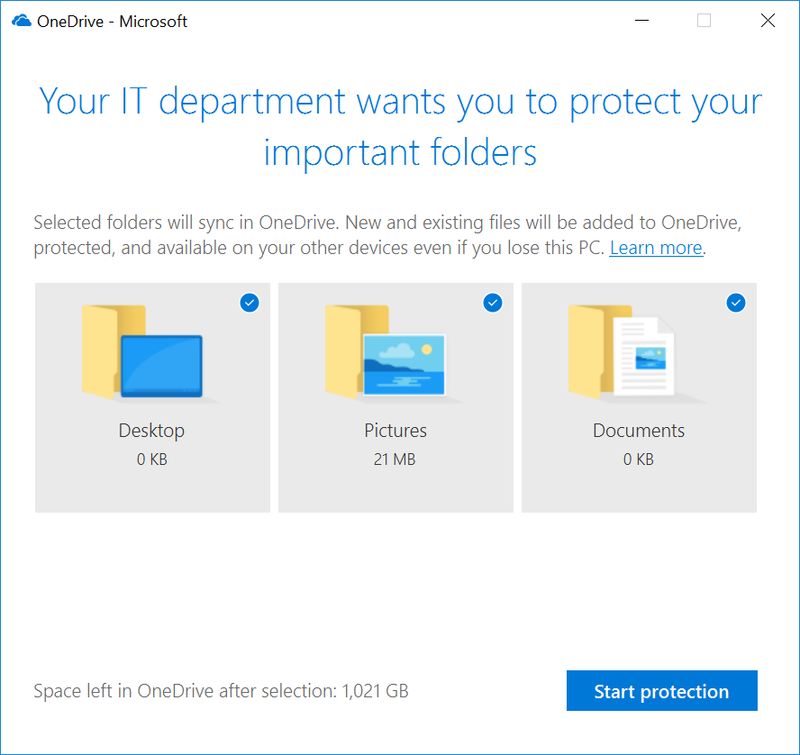 Be aware some file types are not supported in OneDrive. If you've saved OneNote files locally, there is some advice on how to move them to OneDrive here. This is a great feature to add to Windows because data loss remains a significant risk for end users if they're only keeping files locally on their devices. With increased storage in the cloud for users now, the ability to easily redirect key "dumping areas" to automatically save to OneDrive will not doubt save a lot of users from blushes and heartache. If you're an IT Admin in a school this is definitely worth checking out when it is released for you to access. Let me first say thank you for this helpful and timely tool. There’s one big obvious question I believe, and I hope others find usefulness in the response as well: How can we, in a programmatic fashion, tell when the tool is complete with the migration as opposed to just initiated? Thank you, and thanks for KFM!